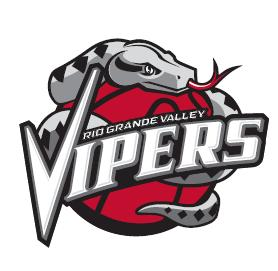 EDINBURG — Time and again during this new season, the RGV Vipers have shown that if one of their players get a hot hand, get out of the way and let him do his thing. It was Michael Frazier’s turn on Saturday, even though his first-half performance was no inclination whatsoever of what was to come. Frazier scored 16 points in the third quarter, added 11 more in the fourth and finished with a career-high 28 as the Vipers held off a fourth-quarter rally by the Iowa Wolves and remained undefeated at home with a 127-122 victory at Bert Ogden Arena. Overall the Vipers improved to 6-3 and ended the Wolves’ (3-6) three-game win streak. At halftime, Frazier was 0-2 from the field and with one point. RGV held a 61-58 lead at that point. For the rest of the game, all the 6-foot-4 guard from the University of Florida did was shoot 8-for-12 from the field, including 6-for-9 from 3-point land, and was a perfect 5-for-5 from the line. The Vipers led 106-91 after three quarters, putting up 45 points in the period and outscoring Iowa by 12. Blair, however, reiterated what he’s been saying all year that basketball is a game of runs and expected a run by Iowa, but probably not one like what the visiting Wolves put together. Iowa scored the first 16 points of the third quarter and when Jonathan Stark hit a baseline 3-pointer, the Wolves had climbed all the way back and led 107-106. RGV responded with a 12-4 run to cut the momentum and take a 118-111 lead. Frazier his those two layups and a 3-pointer during that run, and Bruno Caboclo scored on a 3-pointer and layup on a nice pass from Danuel House, who was wearing protective safety glasses following an eye injury sustained last Saturday against Stockton at home. Playing without their 7-foot-1 center Zhou Qi, the Vipers were at a size disadvantage and had 6-foot-9 Caboclo and 6-foot-10 Chris Walker take turns playing the five spot in the lineup. Caboclo ended up with 23 points, six rebounds and three blocked shots while Walker had 12 points, five boards and shot 5-for-7 from the floor, bringing some energy to his teammates and the arena with a couple of alley-oop dunks. This was the Vipers’ eighth game in 15 days and Blair said he could see the wear and tear on the team, especially while playing with only eight on Saturday; seven if you count that fact that Angel Rodriguez injured his shoulder in the first half and only played eight minutes for the game. Four players scored 20 or more points for the Vipers led by Frazier’s 28. Brandon Sampson scored 25, Caboclo 23 and House 21. The Vipers hit 17-of-43 3-pointers and were 10-for-21 (47.6 percent) from beyond the arc in the second half. RGV gets a little breather without a game for four days before hosting back-to-back games Nov. 29 and 30 against Oklahoma City and Salt Lake City.